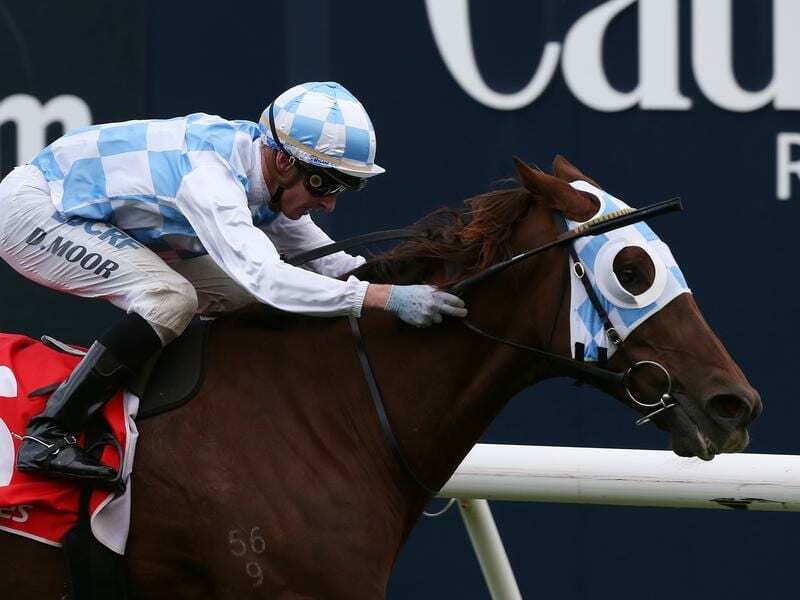 Magnapal runs at Caulfield with a view to progressing to the Warrnambool three-day carnival. Trainer Daniel Bowman is following a similar approach towards a planned start in his hometown Cup at Warrnambool with Magnapal as he did a year ago. Magnapal won at Caulfield on April 14 last year following an unplaced run in the Stawell Cup, but with Easter three weeks later there has been a reshuffle of race dates. “He won around this time last year but I don’t think we’re going to get the rain like we did last year which helped him,” Bowman said. The Caulfield track has undergone a renovation since the Blue Diamond Stakes meeting on February 23, when Magnapal last raced, finishing ninth in the Mornington Cup Prelude. Bowman said Magnapal had freshened up nicely following daily visits to the beach before gradually building his gallops towards Saturday’s return. Before his last start Magnapal had finished third to Yogi over 1800m at Caulfield on February 9 and Bowman believes he has got the gelding back in similar form. “He’s a tough old warhorse,” Bowman said. Bowman’s team has been in form at country venues and he hopes to be more than a spectator at the Warrnambool carnival. “Magnapal’s going to Cup and Labuan Star and depending on how Working From Home goes next week, maybe they’ll run in the Wangoom,” Bowman said.